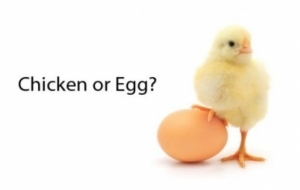 Vote on if you think the chicken or the egg came first. Is Flirting Online The Same As Cheating? Fusion's Massive Millennial Poll surveyed 1,000 18- to 34-year-olds and when asked whether "online flirtations or relationships" amounted to cheating, a whopping 82% said yes.